Francis Ford Coppola's compelling sequel lives up to - and even eclipses - the brilliance of The Godfather, contrasting the life of Corleone father and son. In parallel story lines the movie traces the problems of a matured Michael Corleone (Al Pacino) in 1958 and that of young immigrant Vito Corleone (Robert De Niro) in 1917's Hell's Kitchen. 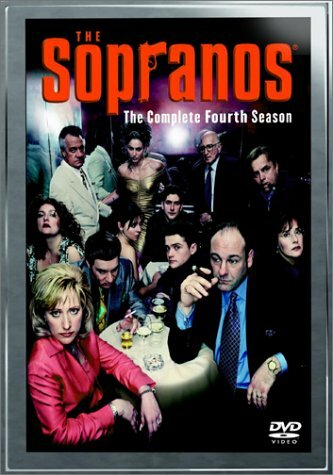 Vito is introduced to a life of crime by two-bit hood Clemenza (Bruno Kirby) while Michael survives an attempt on his life, familial betrayals, and Senate hearings ... but at a cost. De Niro, speaking almost completely in Italian, is charismatic as the young Don, a Robin Hood-type figure. $244.000 thousand on -unknown- screens. Whenever the subject of sequels that surpass their predecessors arises, a short list of the usual suspects emerges. The Empire Strikes Back, Aliens and Terminator 2: Judgment Day offer some of the most consistent and prominent examples. However, the king of them all likely will always remain 1974’s The Godfather Part Part II. For one, it remains the only sequel ever to win the Oscar as Best Picture, and it’s also the sole continuation to merit inclusion on the American Film Institute’s most recent Top 100 list, where it resides at number 32. That’s 30 places below its predecessor, 1972’s Godfather, which seems kind of unfair. Many think Part II is a better film, though I suppose Godfather may have earned the higher ranking partially due to historical importance; it was a seminal flick, while Part II simply continued and refined its experience. Personally, I’d always agreed with the AFI’s idea. While I thought Part II was a more than decent piece of work, I never could view it on the same level as Godfather. The latter seemed like a more visceral and involving experience, whereas Part II came across as cool and less directly stimulating. Prior to this DVD, I’d seen Part II four or five times, and my opinion of it remained fairly consistent. However, now that I’ve watched it once more, I must admit that I’m starting to see its merits more clearly. Part II may not offer the same level of slam-bang moments found in its predecessor, but it may be that film’s equal nonetheless. The Godfather Part II follows dual storylines. One continues the tale begun in the first movie, as we see the further development of Michael Corleone (Al Pacino) as the head of a crime syndicate. When Godfather ended, he’d consolidated his powers via a bloody attack on his competitors, and by Part II - which takes place a few years later, toward the end of the Fifties – Michael’s become even more powerful. His side of the story shows his attempts to further develop the family’s interests – most notably via some possible investments in Cuba – while he deals with traitors within his organization. In addition, Part II develops the early years of family patriarch Vito. Performed by Marlon Brando in the first film, Oreste Baldini briefly portrays the child version while Robert De Niro plays the don as a young man. 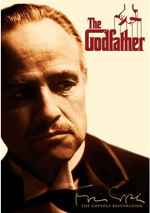 We watch his arrival in America after a Sicilian Mafioso kills his family, and we see him as he starts his own clan. Though he starts as an honest, hard-working guy, Vito soon sees the benefits of a life of crime, and when he takes on local don Fanucci (Gastone Moschin) his course – and that of his family – is set. Though the movie starts with Vito’s childhood, it interweaves the two tales in a fairly seamless manner. The technique easily could have become distracting, but director Francis Ford Coppola manages to pull it off neatly, as the stories flow cleanly and remain involving. Although I admit I found Michael’s tale more interesting, I thought both sides of the film earned equal prominence. Without question, Godfather was the showier movie of the first two, and Part II lacks some of the big personalities seen in it. Both Brando’s Vito and James Caan’s Sonny were driving forces in the original film, and they presented larger than life attitudes. On the other hand, Michael remained a quieter sort, and the younger Vito may have foreshadowed the man he would become, but here he appropriately appeared less commanding and forceful. While the variations in tone may make it appear as though Part II is at fault somehow, it isn’t; I mention them just to relate the differences between the two movies. As I mentioned earlier, the relative coolness of Part II led me to find it inferior for quite a while, and it remains a less iconic flick. However, the film’s quieter, more introspective nature leads it to be very satisfying nonetheless. On one hand, we witness the gradual evolution of Vito into a cold-blooded killer. The movie makes this growth seem almost inevitable, but it doesn’t portray Vito as a stereotype or a one-sided personality. As portrayed by De Niro, he’s a strong force but not one who did what he did without purpose or intelligence. 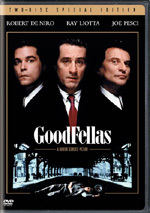 De Niro ably made the character feel like a younger version of Vito without resorting to cheap Brando imitations, and his Best Supporting Actor Oscar was richly deserved. I felt Pacino should have won for Godfather. In that film, Michael was the only character who really showed development, and he was the center of the story. Brando was terrific, but Vito was essentially a supporting role, and he didn’t evolve in any real way. I suppose one could make the same argument for Michael in Part II, as the changes experienced by the character are much more subtle this time. He begins as a cold, distant man and ends the film in the same state. However, Part II concentrates much more intently on nuance, and that’s where Pacino’s performance gets its passion. Although Michael finds himself increasingly lost in his criminal world, he maintains a perverse focus on his family; in a bizarre way, he truly seems to feel that he does what he does for the good of the family. Unfortunately, all that this leads to is the dissolution of what he loves and cherishes. Pacino executes the slow transformation with tragic power and makes Michael one of the great film characters. Admittedly, in some ways, Part II suffers from a factor that affects many sequels: it feels like a mild rehash of the first film. The Godfather was clearly the more original movie of the two, and I think that’s one reason why it continues to garner more attention. While Part II lacks the force of its predecessor, it compensates through coherence and style. Part II seems like a better developed and implemented movie, and it definitely used a more daring style; the dual storylines made Part II vastly more ambitious than Godfather. Arguments about the superiority of either flick will likely continue ad infinitum, and I won’t attempt to resolve them. I continue to prefer the original film, but I must admit that I’m starting to develop a greater fondness for The Godfather Part II. It may hold up better to repeated viewings, as it communicates greater depth and subtlety each time. In any case, Part II remains an excellent achievement that holds up very nicely next to its classic predecessor. The Godfather Part II appears in an aspect ratio of approximately 1.85:1 on these two discs. DVD One was single-sided, dual-layered, while the shorter Disc Two offered a single-sided, single-layered experience. The film’s break occurred 126 minutes into this 200-minute movie. While the imbalance between the two platters may seem odd, the cut made perfect sense, as Disc One ended at a very natural and logical point. Sharpness remained acceptably clear and accurate throughout most of the film, as much of the movie looked reasonably crisp and detailed. However, I thought Part II showed softness on a moderately frequent basis. None of the shots looked badly fuzzy, but a generally soft tone appeared at times. Part II also included some moiré effects – particularly seen in stairs – and light edge enhancement at times. All three Godfather movies operated from a very brownish-yellow palette, and Part II offered the most monotone experience of the bunch. As such, I didn’t expect many vivid or brilliant hues, so I found the colors of Part II to appear satisfactory. Actually, Godfather managed to sneak in some brilliant hues at times, but these were totally absent from its sequel. I believe that was by design, as Part II was a darker experience, and the color scheme reflected that. Since so much of Part II took place in low-light conditions, it needed excellent blacks and shadow detail. It didn’t get that. Overall, the dimly lit situations looked fairly solid. Blacks usually came across as acceptably dense and deep, and most low-light shots appeared reasonably clear and visible. However, some “day for night” exteriors seemed excessively dark, and some interiors looked moderately muddy as well. While this gave the film its distinctive vision, it did come across as too much at times. Print flaws offered the most significant concern found during Godfather, and they continued to be a problem here. However, the various defects seemed noticeably less prevalent during the sequel. I still witnessed moderate grain during much of the film, and occasional examples of speckles, grit, nicks and marks popped up with greater frequency than I’d like. Nonetheless, it seemed like a cleaner experience than Godfather at least. Ultimately, The Godfather Part II mixed pretty good shots with darned ugly ones. During my review of The Godfather, my greatest criticisms were leveled at the hollow and artificial-sounding remix accorded the film. Since The Godfather Part II also included a recreated Dolby Digital 5.1 soundtrack, I feared the worst. Happily, although Part II’s audio included some concerns, the sequel provided a much more satisfying sonic experience. The soundfield itself seemed surprisingly natural and involving. Godfather came across as forced and excessively speaker-specific, but the elements in Part II blended together with solid grace and realism. The mix remained concentrated in the front spectrum, where fairly positive stereo music appeared as well as a variety of effects. Those bits added the good dimensionality to the track, as sounds appeared to be appropriately placed throughout the film. Surround usage stayed pretty minor, but they contributed acceptable reinforcement of the front channels, and they also kicked to life nicely at times, such as during a train sequence. As with the first flick, the audio suffered from too much artificial reverb at times. This especially affected dialogue, as speech often seemed unnatural. This wasn’t as severe as during the first film, but the echo made things messier than I’d like. Otherwise, the sound quality for Part II seemed decent for its era. Dialogue usually came across as reasonably distinct and crisp. Some edginess interfered at times, but I detected no problems related to intelligibility. Effects also could crackle on occasion, but as a whole they seemed clean and relatively dynamic; the few loud sequences showed decent bass response. Music demonstrated some modest distortion as well, such as during the opening party sequence. Overall, the score lacked the depth heard during Godfather, but I still thought the music seemed to be relatively clear and vibrant for a film of this vintage. Ultimately, the audio of Part II showed its age at times, but it appeared to be above average for its age, and it offered a vastly improved experience compared to the first film in the series. If you examine my grade for the supplements of The Godfather Part II, you noticed that I didn’t give it one. That wasn’t because the disc included none. However, this release comes as part of a boxed set that also includes its two sequels as well as a DVD devoted totally to supplemental materials. I didn’t think it was fair to rate this disc’s extras in isolation, since it wasn’t meant to stand on its own. 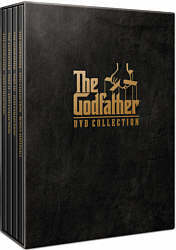 As such, a review of the whole “Godfather DVD Collection” will appear that grades the total package. Only one extra appears here: an audio commentary from director Francis Ford Coppola, who provides a running, fairly screen-specific affair. Frankly, I expected this track to be less interesting than the one created for the first film; first flicks always have the most background to relate, and the rough time Coppola went through making it seemed to offer more opportunities for interesting stories. To my surprise, I found the Part II commentary to be at least as good as the one for Godfather, and it may actually be better. When I reviewed the Godfather track, I related that despite his negative experience, Coppola didn’t seem bitter as he discussed the shoot. While that remains true, he does appear much brighter and cheerier through his chat here. Clearly Part II was a much more pleasant time for him, so instead of the complaints about difficulties heard during Godfather, Coppola focuses more on positive issues for the sequel. That doesn’t mean we get a superficial puff piece, however; Coppola never lets the commentary degenerate into excessive praise. Instead, he simply talks about a variety of elements that went into the making of the film, from his reticence to do such a project to casting woes – which include the reason why Clemenza doesn’t reappear in the sequel – to his overall goals to the piece to a slew of other issues. As was the case with Godfather, a moderate number of empty spaces occur, but these seem fewer during Part II, perhaps because the subject engaged him more fully. Ultimately, Coppola provides a very informative and engaging track that includes a wealth of good information about Part II. I don’t know if I’ll ever like it as much as its predecessor, but I’ve begun to appreciate The Godfather Part II more. The film richly deserves its status as a classic, and it may well be the better film of the two. Whatever the case may be, Part II offers a fascinating and deep experience that holds up extremely well to repeated viewings. The DVD provides erratic picture and audio. In addition, another fine audio commentary from Francis Ford Coppola rounds out the package. While I used to think The Godfather Part II was overrated, I’ve changed my mind, and I now agree with its many accolades. Due to some presentation flaws, the DVD isn’t the great piece of work I’d expected, unfortunately. It’s a disappointing release for an excellent film.